We have been preparing to do business with you for 123 years! That’s right, we have been around since before airplanes, antibiotics, Model T’s, quantum theory, and X-rays. Much has changed since then, but not our commitment to quality, service, our incredibly outdated name, and our sense of humor. The earliest documentation we have on our founding is now 1894! 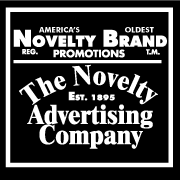 The Novelty Advertising Company is considered by ASI and PPAI as America’s Oldest Promotional Products Distributor and Manufacturer. 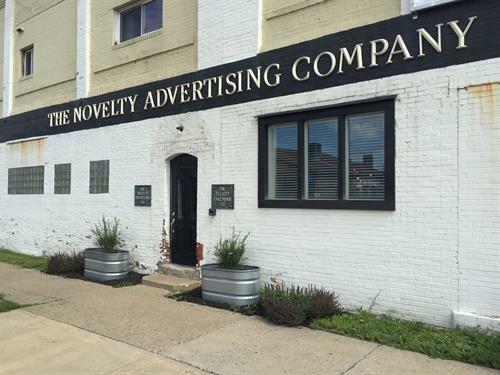 Our home is in Coshocton, OH, the birthplace of the promotional products industry in the 1880’s. Our founder can trace his roots to the beginning when Jasper Meek started the first solely promotional products manufacturer, Tuscarora Advertising. Our current “state of the art” facility was completed in 1900 and we have grown here ever since. Many antique and now collectible advertising products have been made within our walls and shipped from our doors including metal trays and signs, wooden rulers and gas gauges, leather wallets and pouches, canvas hats and aprons, thermometers, horse blankets, calendars, pencils, and fly swatters. We have been promoting and helping make American and international businesses great for generations. We are not trying to be vintage and old because it’s cool, we are the real deal. Not the largest, but striving to be world class every day. Our vintage Coke cooler is ice cold and the retro service station décor is a constant reminder to provide great customer service with a smile and a personal touch that you only get from a century or more of experience.